What’s The Average Price for a Scanning Project? A typical scanning project is going to charge right around 7-12 cents per page- BUT one of the first things you want to look into when you start a scanning project is how much you have to scan, and what your project will look like. 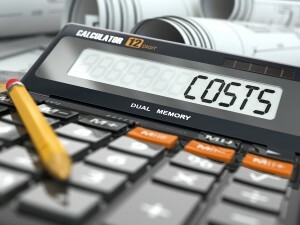 The pricing of your project depends on your needs! The price of a scanning project will vary according to exactly what you are looking for, how many pages you need to scan, and any other additional items that are required to ensure your digital documents work well with your current and future document management plan and document management system. It’s important to determine how much you have to scan, what exactly you want out of your project, and what you’re looking to achieve by scanning your documents. That’s why we like to have you request a quote for your project. Determining the base price per page is a start, but you need to figure out how you’re going to store, access and search for these documents once you have them in digital format. For more detailed information, check out our in-depth White Paper on Pricing Out Your Scanning Job. Record Nations has a nationwide network of scanning professionals that offer document scanning and conversion, cloud storage, and document management solutions to help streamline processes, improve workflow, and increase productivity & organization. Call us today at (866) 385-3706 or fill out the form on the right for free quotes on your project! Within minutes we will get back to you with several options from reputable local providers!